Barbell rows are not necessary for the gym. You can replace them with dumbbell rows. Still, many elite lifters report that a higher deadlift can be established by rowing more. Why do you want to barbell row? Why do you want to get stronger? Why do you want to build muscle? What happens if you do? With this, all of your thoughts and actions are connected to one purpose. You will know why you are doing something and can evaluate whether you are getting closer to the desired goal. Others will notice to and will be more likely to support your cause. If you want to know how this works on a psychological level read Daniel Kahneman's thinking fast and slow. Simon Sinek's TED talk on the golden circle will also help you understand. The barbell row either starts from the ground or somewhere below the hip. There are many variations and the basic idea is to get the barbell to a certain height and curing it to the chest in a straight line. Interesting visitations on the barbell row are the Yates row, pendulum row and reversed grip row. With the row, you are mainly training the rear delts and lats depending on how they are executed. Your hand placement can influence which muscles you want to focus most on with the row. The wider the grip, the more you will train your lats and grip. The more narrow the grip the more you will incorporate the biceps, triceps, and traps in the movement. You can play around with the variations depending on your needs. Body English refers to how much you are moving your body through the row. The more body English there is, the higher the injury risk. Rows with a lot of body English are popular with powerlifters. It suits their training style of maximizing their one repetition maximum. Bodybuilders usually tend to favor time under tension and minimize their body English to focus on specific muscles. 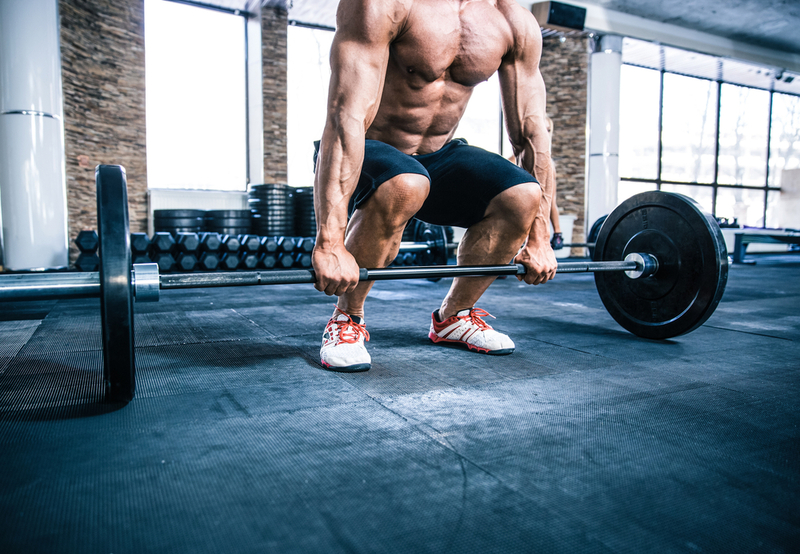 Weightlifters might want to use the barbell row to bring up their back strength. Often the s arch grip deadlift and the good morning are preferred exercises to accomplish this task. Still, a big row is always impressive. As bodybuilders do not compete with the barbell they can also use dumbbells to row. This might even be more beneficial as you have more freedom to tilt or turn the dumbbell slightly to attack muscles more targeted. Many lifters with very good deadlift numbers will recommend the barbell as an accessory lift on deadlift days. This helps to bring the back strength up to deadlift more weight. Again, a big row never hurts to build more strength. Still, CrossFit athletes seldom, if ever, compete in the barbell row. It might benefit your deadlift for certain circuits if it is weak. To achieve general fitness goals like losing weight or getting ripped neither dumbbells or barbells are necessary. Here you have to pay attention to diet and cardio. Barbell rows are most necessary for powerlifters. The effects can be easily replicated with dumbbells when it comes to muscle growth.